Observation - Mute swan - UK and Ireland. 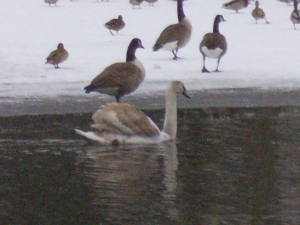 Description: Juvenile mute swan on frozen lake at Park Hall in Stoke. Juvenile mute swan on frozen lake at Park Hall in Stoke.